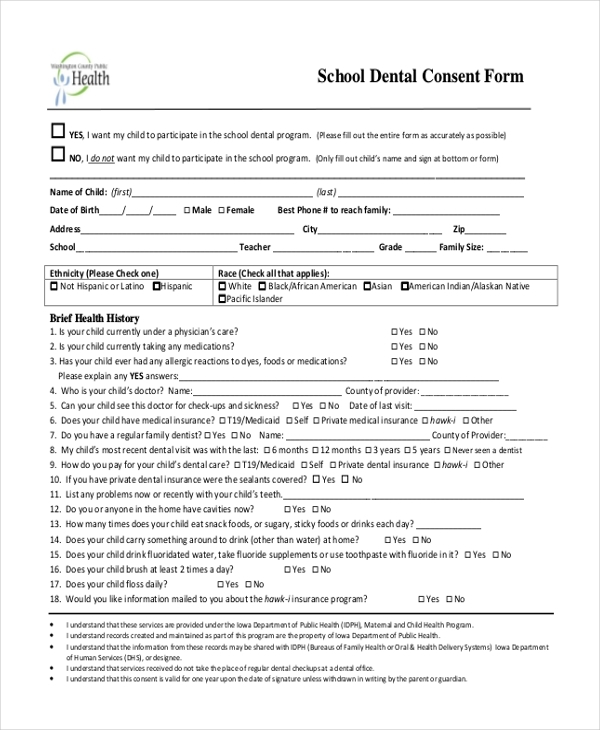 Use this form to seek the consent to conduct a dental practice in a senior high school or an institution of higher learning in the medical field. You can download the sample form free and use it to ask for the consent. There is no 100% guarantee that a dental operation will result in a patient’s expectations. 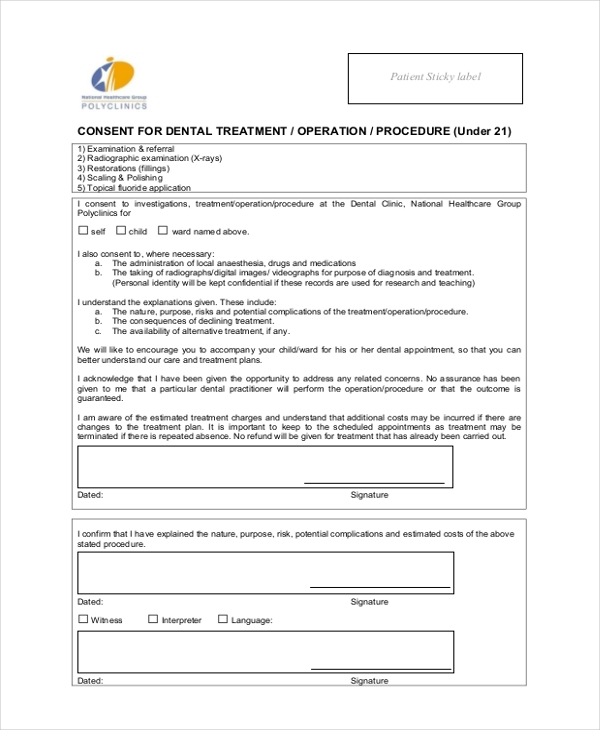 It is, therefore, significant to fill a form that gives a dentist and go-ahead to conduct an operation regardless of the outcome. You can use this template form to give that consent. The consent for dental treatment is a permission accorded by the dentist to a patient to conduct the dental operation without worrying about the likely results. By filling and submitting this form, you gave the permission to continue an operation based on their conditions of service. 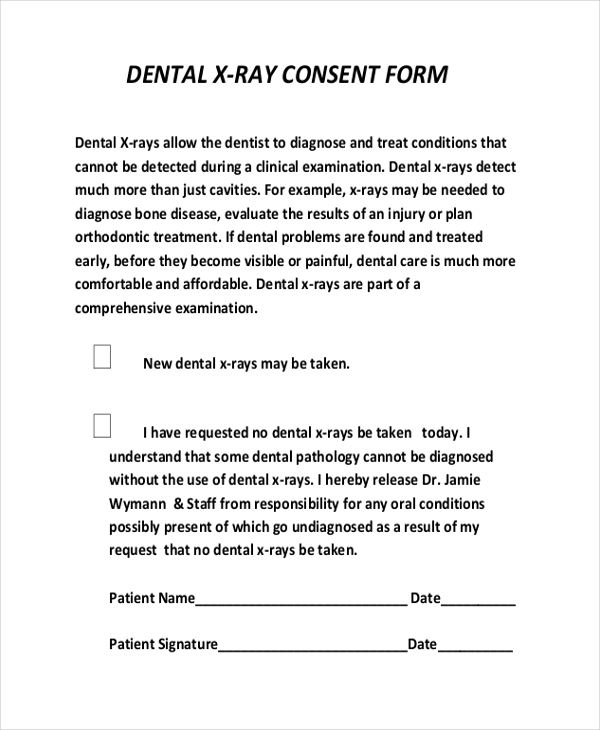 If a dentist recommends that you must go through the radiograph procedure, you could express your agreement to the procedure by filling and submitting this dental radiographs consent form. 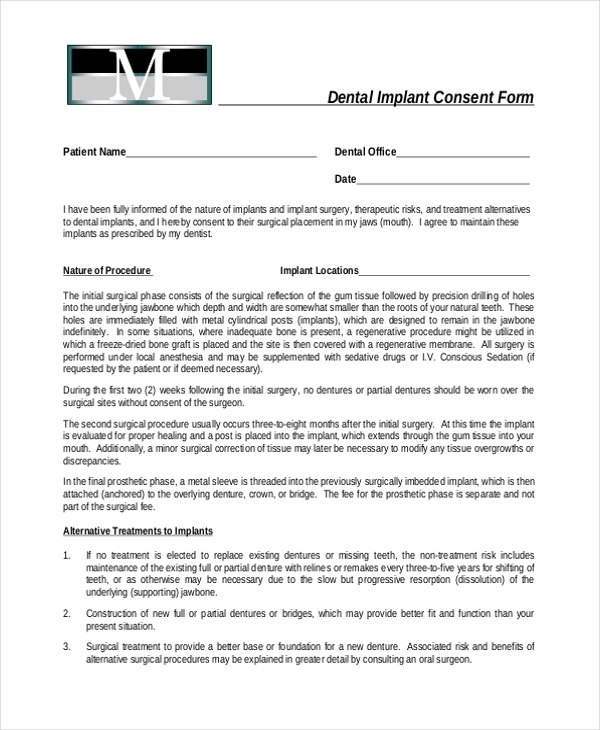 By downloading, filling, and issuing this form to your doctor, you are giving a permission to the dentist to clean your teeth using their medical procedures. 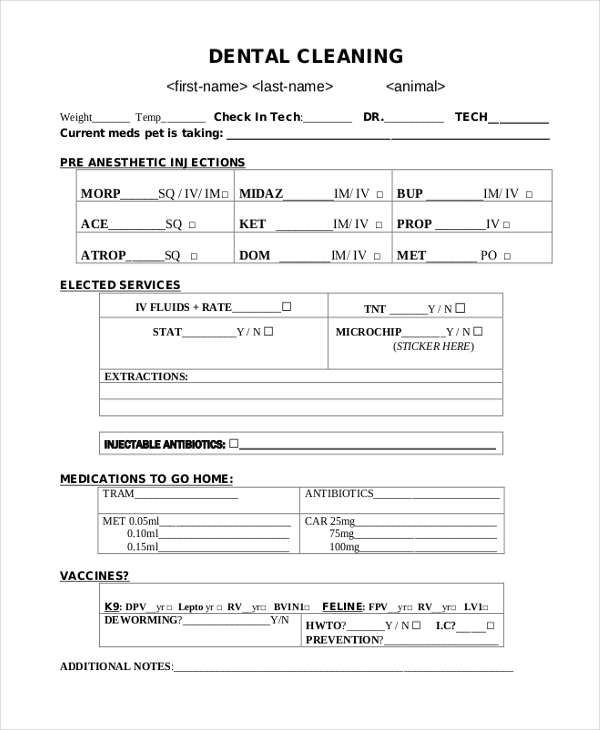 The form is ready for print and easy to fill out. 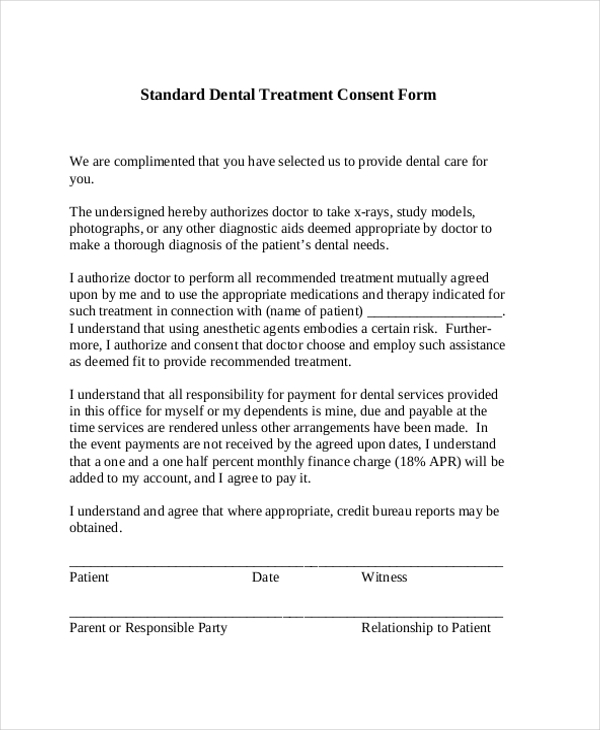 You hereby accept that a dental service provider has the full right to conduct the operation based on the terms of the agreement of payment for the service and the procedure to conduct there of. 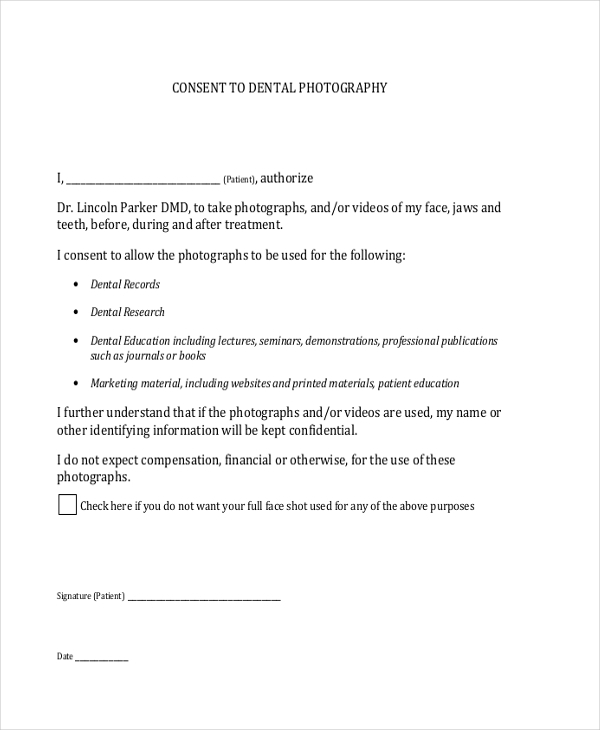 If you agree that a dentist can use your dental photo as a sample for their practices at the place of work, you can give them the permission to do so by filling a dental consent form for photography. 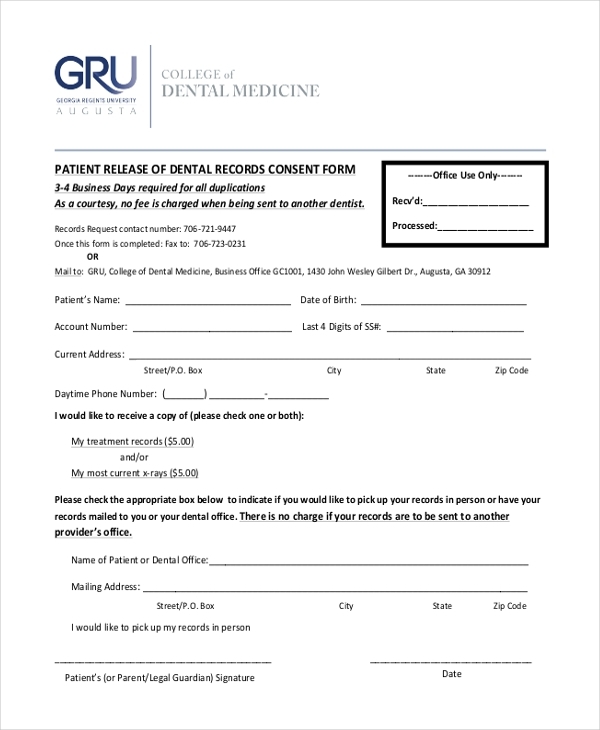 If you have visited a dentist before, or many times in the past thereof, you can use this form as a reminder to your dentist that your records allow him to conduct dental operations the soonest time possible. 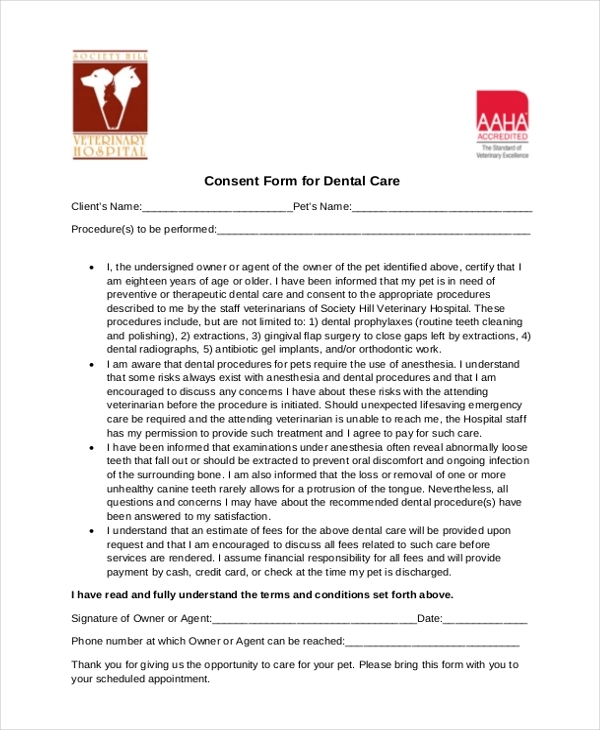 The purpose of this form is to give consent to a dentist to perform standard dental procedures, regardless of the likelihood of the results. The document acts as hard evidence of permission given to an expert to conduct a medical procedure. It is important to understand that no matter how less painful or likely painful a procedure may be, a dentist may never conduct an operation until they have your consent to do so. By filling any of the forms provided in the description, you are giving them the full rights to take charge of the situation on the ground and be in charge.